Do You Know All 12 Skills of Qi Cultivation? “Can you also direct the qi to your feet?” he asked. Mark was a new student in my studio. He told me that he had read a few books on qigong and tai chi. But his first week in the studio was an eye-opener. He was loving the experience. Mark would often corner me after class and pepper me with questions. As Mark stared at the chart, he looked like a kid in a candy store. He was grinning ear to ear. And that’s exactly how it should be when you are new to qigong and tai chi — you should be excited and awed and even a bit overwhelmed by the amazing new world of qi cultivation. A few years ago, I started to feel like there was something missing from my teaching. I needed something to help my students understand the many different skills that past qigong masters had. I dove into classical and modern texts on qigong. I experimented. I meditated on the subject. And I practiced diligently. The result was something that I called The 12 Phases of Qi Cultivation. That was the prototype of the 12 Dimensions of Qi Mastery. The 12 Phases, now called the 12 Dimensions, were originally meant as a simple teaching tool, but the concept has evolved into something much bigger. Last year, during our annual retreat in Costa Rica, one of the participants suggested that we use the word “12 Dimensions” instead of “12 Phases”. This person happens to be a professor of theoretical physics at the University of Florida. He explained that in physics, dimensions are not linear. They coexist and overlap. This was exactly the concept that I had been searching for. The 12 skills overlap, and also coexist. As we explore the 12 Dimensions together, you’ll see why I changed the terms, and why this whole thing is a journey, not a destination. For example, there is overlap between the 2 skills of directing the qi to my hands and transmitting the qi to another person. If I use my hand to transmit, then both skills must also coexist at the same time. Right? In seeking what the past masters sought, I discovered the 12 Dimensions. I stood on the shoulders of giants. In other words, I built on the knowledge of the past masters, combined with my modern understanding and experience of qigong (and physics!). If you love qigong and tai chi, then my “discoveries” may help you, regardless of what style you practice. As I mentioned, past qigong masters get all the credit for discovering and developing these 12 skills. My work has been to organize, arrange, and teach these skills, not just to a few select disciples like in the past, but to thousands of students. My goal is for students to experience all 12 skills. In other words, I don’t want you to just read about these skills; I want you to feel them. These skills are not mysterious. With proper training and proper practice, anyone can learn and enjoy all 12 Dimensions of Qi Mastery. A Green Belt in Qi Mastery? 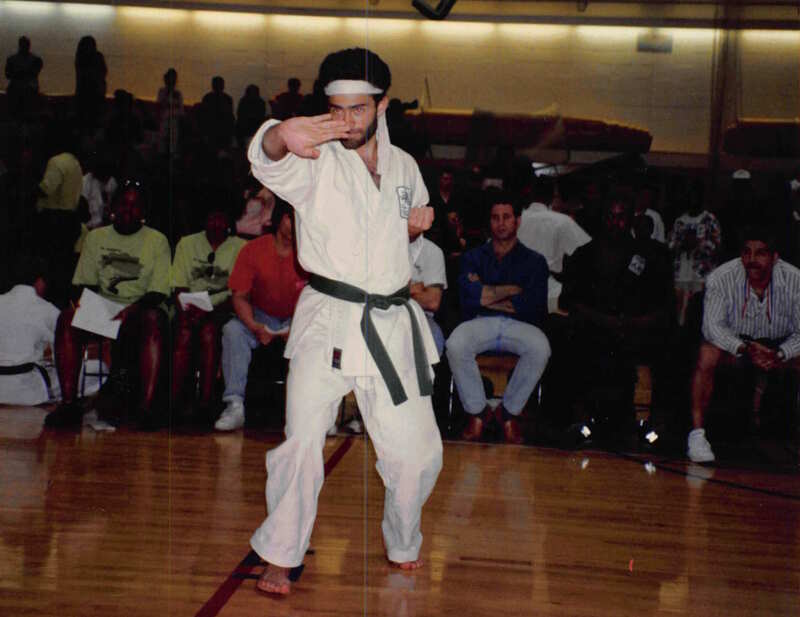 An old image of me competing as a green belt in karate, circa 1993. Before switching to qigong and tai chi, I earned 2 black belts in karate. The belt system is popular. And I know why. It’s comforting to see an organized path of belts ahead of you. It helps you feel like there is an order to the chaos of learning a complex new skill. I still remember the feeling of pride after earning my green belt. Belts are also important for karate school owners. It’s hard to run a successful martial arts business without using belts to increase motivation and attendance. After I left the karate world, I stopped using the belt system, and I haven’t looked back. But now, it’s tempting for students to view the 12 Dimensions as levels, similar to belts. Unfortunately, qi mastery doesn’t work that way. Mastery in the art of qi cultivation isn’t linear. It’s circular. Or rather, spiral. Our galaxy is a spiral. The “Golden Number” of mathematics maps out to a spiral. In many ways, life itself is a spiral. The natural order is a spiral, not a line. Qigong and tai chi are based on the philosophy of yin and yang. In other words, these arts follow the natural order of the cosmos. If you look at the spiral above, you can see that by the time you finish all 12 dimensions, you’re basically back where you started — just a bit deeper. Also, notice the overlap between each skill. This is to remind you that the separating into skills is not black and white. In fact, the deeper you go into this art of qi mastery, the more the 12 skills become unified. I’ve been through all 12 Dimensions, and I can perform each skill. Does that mean I’m done? Am I an Enlightened Mega Grandmaster? People today are extremely confused about the concept of mastery. In an article on the subject, What Everyone Ought to Know About Jedi Mastery, I likened myself to a 4th degree Black Belt in qigong and tai chi. In fact, black belt was the beginning of a fantastic journey for me, a journey that now has me exploring and teaching the 12 Dimensions of Qi Mastery all over the world. 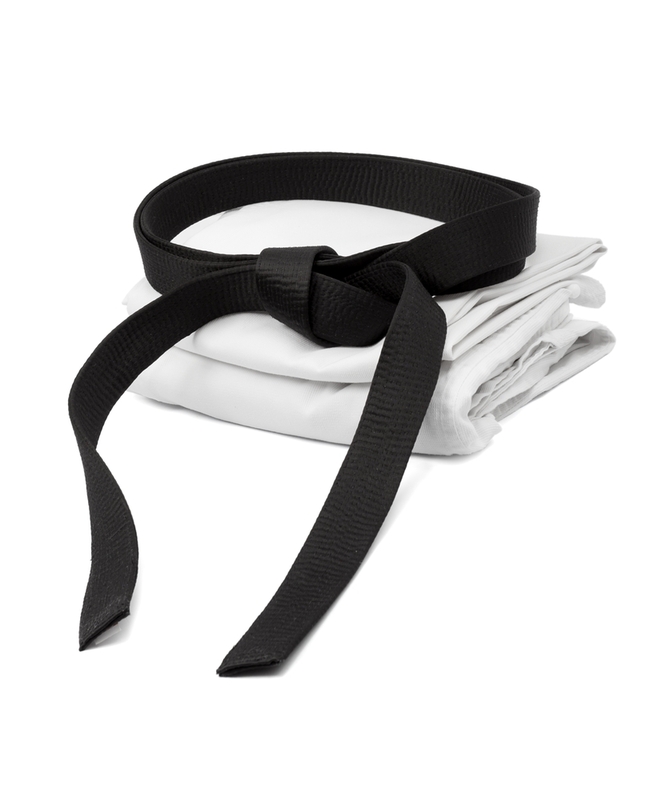 If we continue using the karate belt analogy, then you need to understand this: You’ll be mastering the 12 Dimensions not only from white belt to black belt, but also through all 10 ranks of black belt. I’ve been practicing the various skills from the 12 Dimensions for decades. And I plan to continue practicing them for many more years. For example, I still practice Dimension #1, Discovering the Qi, every single day. It’s not a beginner skill that I learned years ago and then left behind. If anything, I am discovering the qi in new and beautiful ways. For example, I’m discovering not just the flow of qi in my own body, but how qi flows through a room (which is part of the art called feng shui). I don’t go in order through the skills. One day, I might focus on gathering the qi. Another day, I might focus on consolidating. Or I might spend a month deepening my skill of transforming. This is what mastery really looks like. It’s messy. I’ve arranged the 12 skills in a pretty, color-coded chart. But your journey won’t look like that. Mine certainly didn’t. For example, many of you reading this have probably learned some of the 12 skills, but not all of them. That’s okay. You’ve got the rest of your life to learn and develop the other skills. If you’ve read this far, you’re probably curious to learn more about each of the 12 Dimensions. Good! I was hoping to pique your curiosity. But first, I want to hear from you. If you want me to write more about this, then let me know in the comments below. I especially want to know which of the 12 Dimensions you are most curious about! Great Blog Sifu! I like the way you express the overlap of dimensions. It helps to get a better idea of how we will progress through this journey. I am interested in learning about all the 12 Dimensions, but the Transmitting Dimension is probably at the top of my list. Protecting, Purifying, and Transforming would be next. I do have a few questions: How can you tell when someone is ready to move from one dimension to the other? What dimensions should be practiced longer than others? I have heard the phrase, “Learn to love the plateau.” I assume this phrase could be applied to some of the 12 Dimensions. Do you have any experiences hitting plateaus in qigong or tai chi, if so, did you love them? Readiness is relative. Students can, and often do, skip around the 12 skills. But when someone has trouble with a certain skill, then you can bet that they need more time in the skills that come lower in the list. For example, if you have trouble directing the qi to your lungs, then you probably need to circulate, gather, and purify. Without a doubt, circulating and gathering are practiced more than any of the other dimensions. They are the twin pillars. You can’t go wrong practicing those two. Plateaus are common in all arts. I find the 12 Dimensions a great way to get off the plateau. I find that switching up the skills helps me to move forward. Thanks for the response Sifu! That clears some things up. Neato:) hard to say which is most interesting because I am not sure what they all mean. I want to know! Right now I’d like to gather and circulate like the devil to help with my health fight. Sorry to hear about the health fight. How’s your qigong dosage these days? I would definitely love to read more about this topic and each dimension in greater detail. I imagine breaking down the skills like this greatly improves intention setting during training sessions which I always find extremely important. Purifying qi sounds like a great technique I’d like to learn more about, though I would really love to pepper you with questions about all 12 haha! You’re right about the advantages of breaking down the skills, Jordan. One clarification: these are skills, not techniques. Certain techniques are better for a particular skill, but I can use one technique, like Pushing Mountains, for many of the skills. Ok thank you for the clarification. Techniques are tools used to enhance skills, not the other way around. That makes more sense. 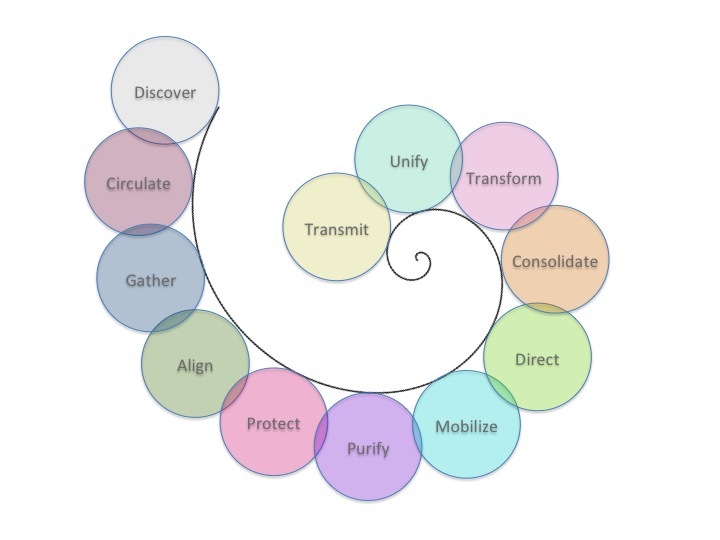 Sifu Anthony, a great post, a perfect depiction with the use of the term “dimension” and the graphic using the configuration of the spiral, thank you. Directing qi to help myself and transmitting qi to aid others are my first priority. Transforming and aligning qi also sound intriguing. Looking forward to reading more! Thanks for the feedback, Lisé! I would like to read more on this subject. I have gotten 2 of the 12 going on, but I still have some blockages to deal with. Seems like the more I practice the more my blockages clear. This s subject could help me get a better understanding of how it all works. Thanks for the feedback, Shannon. What you may find is that some blockages clear using 2 of the skills, but others will linger. That’s when it’s definitely time to add a new dimension. Discoverin Qi or becoming aware of it and cultivating and…using it… I am learning to become aware of Qi. For instance when I feel excitement or chills, or tingling. I’m also learning how to recognize it from others or when I walk in a room so as not be overwhelmed by it or unwantingly (it’s a word now, it’s written 🙂 ) influenced. What is some advice for this? Rene, I find that the deeper I got in to these skills, the more easily I can sense the qi in situations like you describe. So the trick to getting better at discovering the qi in daily life is to go deeper into your qigong practice. You just congratulated me on my one year anniversary, this blog is the best present (or carrot) you could give me. At age 83 I am elated with the health progress. Am rotating through the 18 Louhans every 3 days and before closing routine (last 30 days) doing 10 to 20 minutes of warrior stances then closing. The path you lead me on is fantastic. Please continue to lead as you see fit. I’m so glad to hear it, Tom! Thanks for this blog. I found it very encouraging, especially in terms of explaining that one’s focus can shift within the span of dimensions without loss of integrity to the process. When one is undertaking a new discipline which is multifaceted it is good to have a measure by which to distinguish dynamism from simple scatter. Thank you. Thanks, Mary. I find that students do better having a focus. It’s similar to the Zen idea of “using one thought to dispel 1000 thoughts.” Focusing on gathering the qi dispels thoughts of circulating or directing (not to mention thoughts of checking email and feeding the dogs). I remember reading about this kind of gradation when I was intensively practicing taichi, and being sad about not being able to circulate Qi. I guess I was at the level of discovery. Since then I developed a sense of intuition which tells me if I am ready for something. I follow this sense and instinctively feel I am at protecting and purifying stages. Recently one of the masters I work with tried to get me to do the transmission ( FaChi Si) and I felt a great resistance inside me as well got great pain in my back.. I managed to dissolve that by asking another master to clear it out and by breathing meditation ( or directing Qi ). I am happy where I am right now your teaching getting me stronger on all previous levels. I may have been on a plateau for a while before I started learning from you. I now feel a growth inside, a new expansion . Feels great! I am well on my journey. I’m so glad that you’re feeling growth and expansion, Vera! Most tai chi practitioners I meet focus on gathering and aligning the qi, whether they know it or not. Many longtime tai chi practitioners have told me that the didn’t truly understand how to circulate the qi until they learned “Flowing Breeze Swaying Willow” from me. For many tai chi practitioners, this technique is the master key that unlocks all of the the other dimensions. Def interested in more on this! I have noticed so many things about the 12 Dimensions in my limited practice. This really got me excited to get back into regular practice! That’s a great article! I have been doing Qigong a little over a month so I have a LOT to learn. That’s okay because I’m up for the challenge, and I’m enjoying the journey. I would like to go more in depth on circulating the Qi, directing the Qi and transmitting the Qi. Here’s the thing: if I keep it real, the truth is I want to go more in depth on all 12 of the dimensions. In this short period I have become a Qigong fanatic. I’m not sure if it’s a bad thing, but I’m the type of person who wants it all! Yes. To be honest i would like to know more about every single one of them but , Circulating, directing and how to transmit are the ones that i would like to focus on while learning. It’s really good article, and i can’t wait to read more! Thankyou, great article. I would love to hear more on this topic. At the moment I am most interested in aligning the qi, but am interested to hear more on everything. This is inspiring. My practice thought is self healing injuries and balance issues that I might help others. Starting Qigong in the park as unable to find practicing teachers.learning mostly from various YouTube videos. Looking for guidance and loving Qigong. I am also interested in learning more about all 12 dimensions, but Protecting, Purifying, Transforming, Unifying, and Transmitting stand out as sounding most interesting. I was also intrigued by your comment about how qi flows in a room (feng shui) — and would love to hear your thoughts on this as I often struggle with having too much clutter! Thanks, Sifu! Yes, I would be interested in purifying qi and unifying qi. However, you should cover all 12 skills of chi cultivation. Everyone could benefit from this information. Thank you for your teaching. Yes, please write more on this topic! On re-reading, I’m wondering what are the differences between “circulating, mobilizing and directing Qi. I’ll need several blog posts to explain, but the short answer is: circulating is about getting the energy flowing smoothly through the channels, mobilizing is forcefully expressing the qi (especially for martial arts), and directing is using intent (or yi) to move the qi to a chosen area. do you have an online course to learn all 12 skills? Hi there. I’m excite about my new online program, which will be ready by the end of November. The program will guide you though the first 4 of the skills, which are the most important. Later, I may create online courses to over the other skills. Make sure that you are on my email list so that you can get first pick at the new online course! hi Sifu! I had not read this article before! and yes I really really really really really want to keep mastering the Qi throughout my life! Transforming the Qi sounds extremely fascinating! Man I really wish I master the Qi! The great Bodhidharma helped monks to meditate and I want to use the Qi energy for intense meditations too. may this intense excitement spread like wild fire and bring more folks into the Qigong world, into what Bodhidharma really sought! into what the Zen masters really sought! Hi Suyog. Transforming the Qi is is more than fascinating. It’s fun. And so are the other dimensions of qi master. Hi Sifu, I am so interested in learning more about mastery of these skills. It was a real treat to read this blog today because last night I did a meditation with breath in which I felt qi moving through my hands. It was as if healing qi was flushing through my body and concentrating where I experience the worst symptoms, extreme tremors. They did not go away, but I felt like it is within the realm of possibility that they can be healed. I don’t believe I directed the qi, but rather that being in the Zen state allowed the qi to move to the area where it is most needed. That’s wonderful, Laura! And yes, it sounds like the qi went where it was needed, which is the essence of the 5-Phase Routine! Hi Anthony, the information you provided was super insightful and thoughtful. In regards to the 12 Dimensions, I think they’re the foundation, the theory that people require to follow up on Qigong/Tai Chi. I personally had know idea about that, but it was displayed very well. I personally would love to read more on each of the dimensions and how to develop/learn them. For me, it would be good to learn a few movements to either strengthen them or to develop them further. Of course, with the idea that everything is intertwined, it makes it a bit difficult, but I do think that this theory would be fundamental and almost like a basic requirement to learn properly. I personally have been practicing 8 brocades for a while off and on, and it’s very helpful but I think understanding these 12 would be best before I continue further. I also think that there should be a step-by-step page for people trying to learn on their own. If you entice people with something they can learn on their own and can provide true help, they would be more inclined to learn more. Glad it was helpful, Elvyn. We cover the first 4 dimensions in my Qigong 101 program, and I’m working on a new Qigong 201 program that touches on some of the other dimensions. These are not skills that can be learned from a blog post. Hi hi, I believe in the intricate simplicity to all things “like we walk close our hands and breath but we do not fire each muscle or regulate our blood flow” now with Qi-gong I Am starting to understand some of the mystery behind this process called life. I Am plenty eager and exited to have a better understanding to the elxir that forms in the body. First of all, thank you so much for you dedication and post, leading that i too may be a bit more enlightened on this journey. I would like to ask you about the stages that allow one as myself to send energy”Qi” to heal not only myself but others. I have been seaching on the internet in hopes of finding some step step guide with no success- yours explenation is very well put. If perhaps you could guide me in some direction toward a better sence of self-awareness and enlightenment it would be much appreciated. Alighning, purifying, unifying, transforming and transmitting pique my interest the most. Not in any particular order. It’s interesting, I have some of the skills but not in order. Is this normal? Also, I’m not entirely sure if I can transform Qi. I know I can make a room slightly hotter with it though! I don’t think anyone learns them in the exact order. Sifu Anthony I have seen the 12 Dimensions spiral diagram written with gathering before aligning and I’ve seen “aligning written before gathering” qi. Which one follows circulating? Or is this a mute point? As a practitioner of qigong for 20 years I highly doubt that I have experience all dimensions. Dimension 9-12 are of particular interest; Consolidating, Transforming, Unifying, Transmitting. However, beginner’s mind is important to me in every area. I love what you share and look forward to what you contribute. Thank you! Don’t worry, Colleen. If you haven’t experienced all 12, you’ve probably experienced enough of them to be primed to easily unlock those skills. I suspect you’ve already experienced Consolidating, but perhaps with other words. Can you feel energy at dantian, for example? That’s consolidating. The other 3 you mentioned are much more subtle, but also incredible! Thank you for your response. 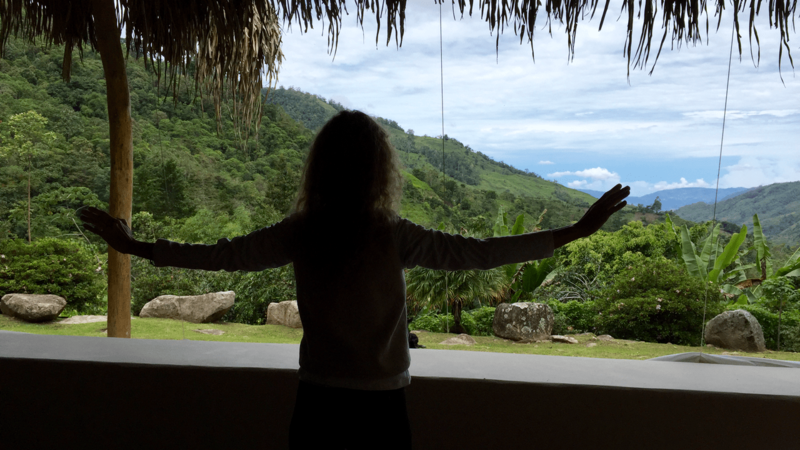 Feeling energy at the dantien … yes. Feeling my hands vibrate and feeling out of and in my body all at once. I love getting excited all over again about continuing to learn more! I’ve led a free practice group for 10 years and enjoy sharing with them new insights and practices. Thank you for what you do! I dont yet practice Tai Qi or Qigong… but over the years I have utilized a meditation technique from a karate-practicing friend that has allowed me to feel Qi. Somehow, I suspect that my Qi becomes polluted or something. I worry that I absorb Qi from strangers or maybe I send my Qi out unconsciously and it throws me off balance? This might sound ridiculous, I am very ignorant of energy practices, I’m just trying to make sense of what I experience. So, I am extremely interested in learning more about Purifying the Qi. Hi Melissa. If you want to learn more, then you’re definitely in the right place!